Hello! 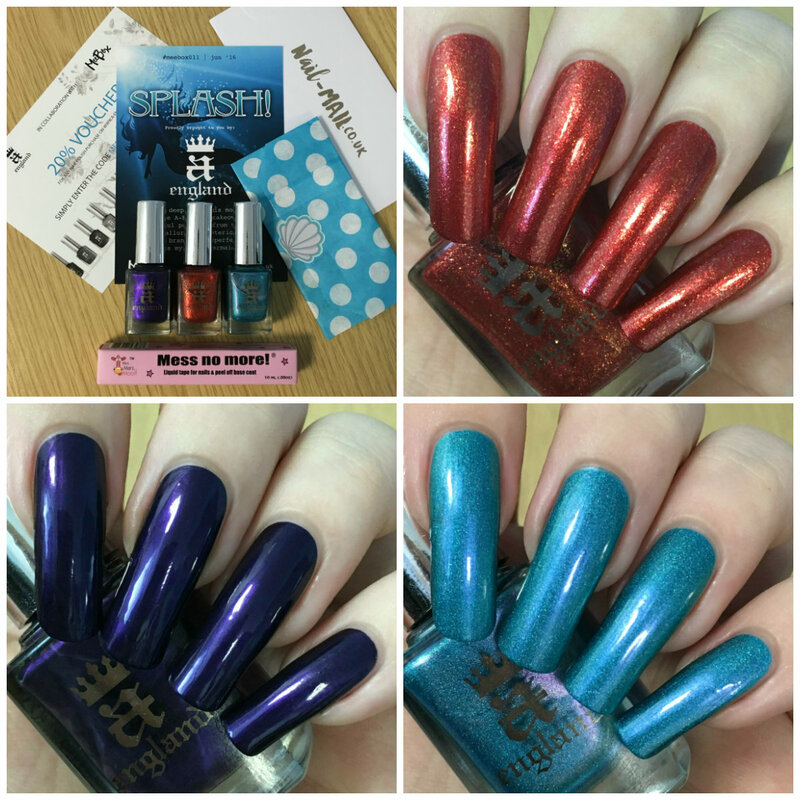 Today I have my swatches of June's Splash MeeBox. You can see my initial unboxing post here. June's was an indie takeover, with all three polishes from popular UK brand A-England. As I said in my unboxing, I have only worn one or two A-England polishes before so was excited to give some more a try. Read on for full swatches and more info! 'Gloriana' is a red foil full of small gold flakes. I already had this, but somehow hadn't worn it! 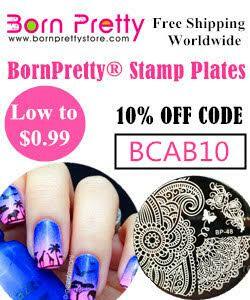 The formula was so smooth and so easy to apply. It is almost opaque in one coat, but I did need a second to cover some bald patches. I described this before as 'fireball-y', and it definitely is! Below is two coats and topcoat. 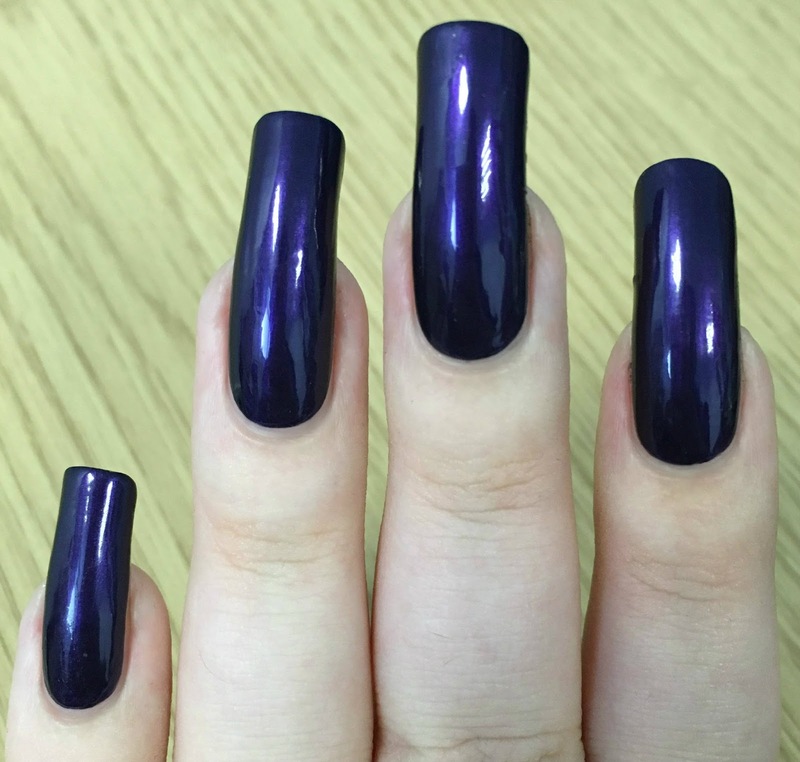 'The Blessed Damozel' is a deep violet with a metallic purple shimmer. Again the formula was smooth and easy to use. This is easily a one coater, although I did a second for more depth. 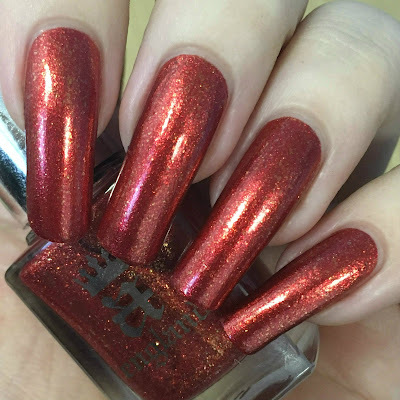 The shimmer is more apparent in the bottle (making it seem darker on the nail), but whenever it catches the light it looks amazing. Below is two coats and topcoat. 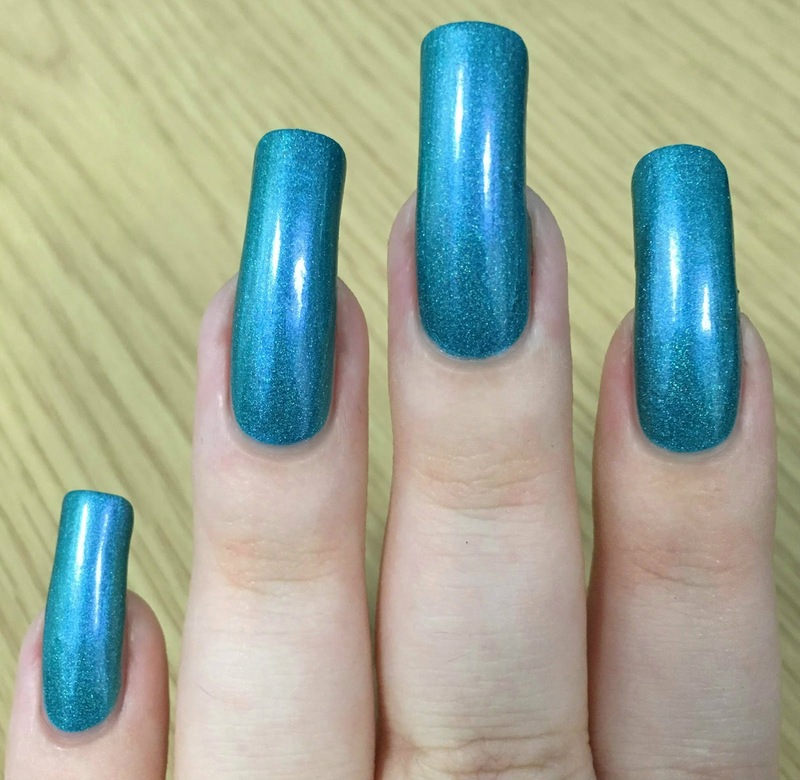 'Whispering Waves' is a bright turquoise holographic with a pink flash. Like the others, the formula is smooth and easy to apply. It does have good opacity, but definitely needs a second coat. There has been a few mentions of this staining and although it didn't stain me, I would definitely recommend doubling up on base coat. Below is two coats and topcoat. What do you think? 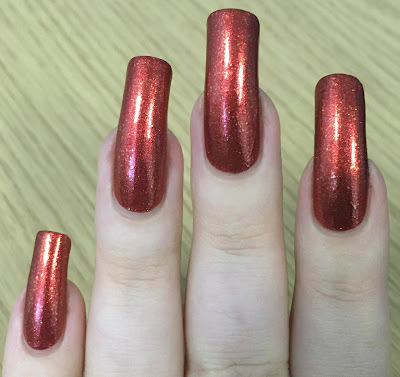 Before swatching these, I hadn't fully made my mind up about A-England polishes - I've definitely been won over! All three are stunning colours and finishes, and two of them could easily be considered one coaters. I can also see the clear Splash/Mermaid theme in each one. I should hopefully have a nail design with all three of these up soon! 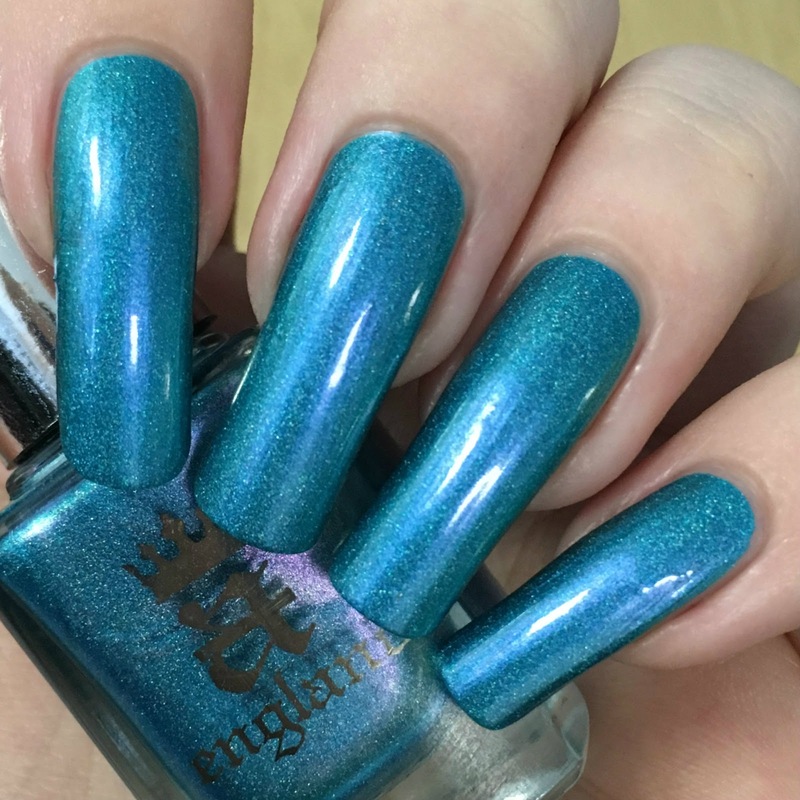 A-England polishes retail for £11 each (including postage), and can be purchased directly from the website here. You can also find out more about MeeBox and subscribing here. I live all of these. Expecially the dark blue, and being one coaters is a bonus. But must say £11 plus postage is way way more then I would pay, but they do look great, also did any stain at all? 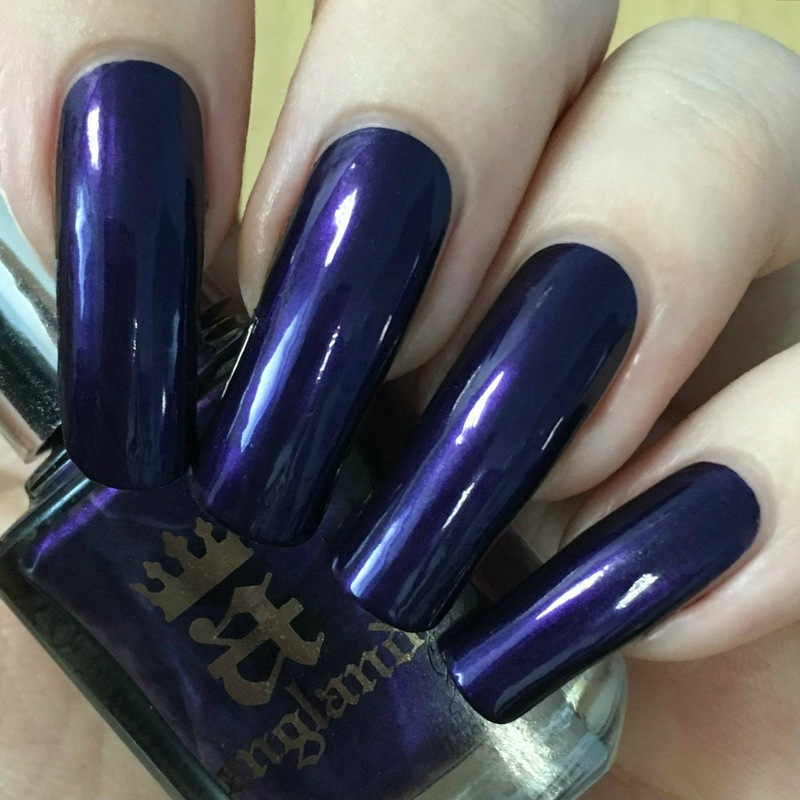 You can't go wrong with A England! Gloriana is fabulous! I just recently started getting some aEngland polishes and I love them. What an awesome box! A England has some of the best polishes! I love all of these!